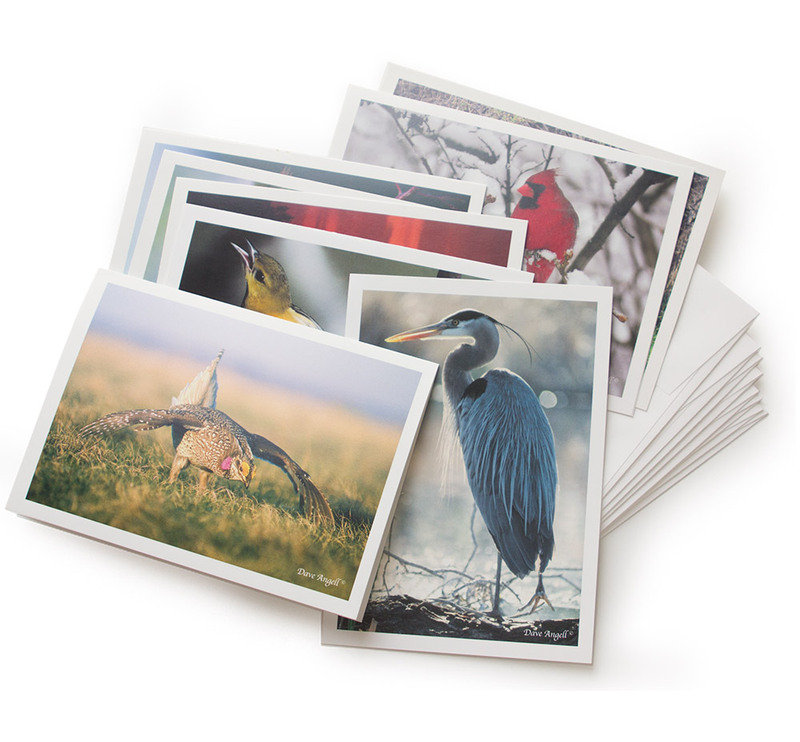 The Bird Assortment group has 8 different bird images. There is an image of a Yellow Warbler, Sharp-tailed Grouse, Orchard Oriole, Great Blue Heron, Wild Turkey, Sandhill Crane, Male Cardinal, and Female Cardinal. The cards are a folded 4 x 6 blank inside card.